hmmm, wow, really nice AI mod from quantomas. Mine was crashed when using WinXP SP3 and Win7 64 Ultimate too. Fortunately, I can load my map using last saved game without being corrupted. When ToE crashed again after a few trials, then I quit the game and using the original .exe to continue playing for a few weeks, then after that I'm switching it again to your H5_AIadv_311.exe. Also I noticed that your mod sometimes changed the aspect ratio, because the panel moved. I believe an AI is considered good if it can provides challenging gameplay to players, and I found that in this great AI, really great work, quantomas. I also have a few things in mind to help you improve this AI. - Make 1 powerful hero. In original AI, they always divide their combat power to few/several heroes, that makes the original AI weak and cant stand against player's main hero. I hope a powerful enemy hero will make gameplay more challenging. Also more important, it can give players more fun gameplay because enemy hero not just always retreat/surrender when it comes to battle with player's main hero. - Does your AI mod affected Silent Stalker skill. If does, then what it will do to counter that? I suggest only AI main hero who will deal with player using Silent Stalker. I'm sorry I can only give you a few ideas but cant help you with those crash things. Only those I can share with you right now. Keep up the good work Sir, we really enjoyed it. Thanks. I had few crashes, but it was because NCF mod was in my data folder. I removed it, and AI mod works perfectly. I am using Windows Server 2008 x64. Try removing all other mods (from data, UserMODs and maps folder) and run the game. Edited by Quantomas at 20:17, 18 Feb 2011. The first version of a website to provide centralized information to our project is online now: Heroes 5.5 - Eternal Essence. This website is not all that pretty but it should be informative and accessible from all web browsers and mobiles. Essentially, it is meant to help us to get our effort organized and to sort out our objectives and tasks at which we work. I have already filled in a fair bit of information, mostly to the AI and its background, and all the categories mentioned earlier are already there and the organization into objectives, scheduled tasks and change requests. Please have a look at the "General Information and Guide" and let me know whether you agree with this. We can always add and change stuff, that's the general idea of the site. If we are now going to move forward, it would make sense to have dedicated threads for the individual categories, AI, modding, tools, gameplay and content, plus bug tracking and probably threads for different subjects. I could set up our own dedicated board on the server but that would be kind of overkill. But having a lot of multiple threads in the Modders Workshop would just clog the forum. Ideally, it would be best if we could have our own dedicated forum in an existing board, something called Heroes 5.5 - Eternal Essence in reference to the WoG mod. Suggestions for other names? Does someone know whether this is possible at HC and how to go about this? Edited by Gnoll_Mage at 00:02, 19 Feb 2011. You'd have to ask Valeriy, the admin. He's not around much but was seen recently so maybe now is the time to email or message him. Don't know if he'd agree with it but this is clearly WoG-like so it would make sense. Edit: having said that the WoG forum is really just the equivalent of the Workshop for HoMM3. Another HoMM5 mod-related forum might be too much. Edited by Quantomas at 00:44, 19 Feb 2011. Thanks for explaining and clarifying. We can always try and make do with what we have, and expand only if the interest is big enough. My next task is now to separate the regular H5_Game process from the AI process and to reorganize the memory space in a way that Win7 hopefully tolerates. It will also boost the performance and animations on multi-core processors, and resolve the reported issues with the turn progress bar and delayed game messages. @Magnomagus: please have a look at the general objectives and modding section of the website and let me know whether this is workable from your perspective. At any rate we would have to work out the implementation of the interface step by step for the first mod that is supported, and subsequently make this available as an example for others. Edited by Cynric at 04:23, 19 Feb 2011. I have a fix that worked for me, and I would like others with Win7 64bit to please try it and let me know if it works for them. I was getting tired of Supreme Commander 2 and its small fast paced not very tactical gameplay. So I went back to Suprememe Commander Forged Alliance, since my old Win7 64bit system Died I was reinstalling everything and Supcom FA kept running slow and crashing on my brand new system. It had been awhile since I had played and I forgot all the work around / fixes the player community had come up with. So I was playing Homm5 and It always crashed on the random Huge and Impossible maps but never on the custom maps included with this awsome AI, that didn't sound like a programming glitch to me, but what do I know the last time i programmed was on my commodore 64 in basic, u programmers still use basic right? lol so any ways i was watching my memory usage and I noticed that it spiked half a gig on end turn right before the crash, so I used this 3GB enabler from Supcom FA on H5_AIadv_311 and it works perfectly, Impossible Map 8 players, AI turn takes abouty 5 seconds total. I hope this works for everyone else, GL. I ran it with no compatibility as administrator. Download and follow instructions. Pm with any questions. Edited by markkur at 11:50, 19 Feb 2011. I've asked a Mod about the forum. Edit= His Response; "The Modder's Workshop is currently dedicated to Heroes 5 mods, so once Heroes 6 is out, I reckon we will make a new forum for Heroes 6 mods, so the Modder's Workshop will serve as a place for Heroes 5 mods" My thought here; This project will probably be the big ticket under H5 from here on out, so it shouldn't be too hard to keep things together. In the mean time I sure I can help a lot with this. I've followed Alci's (the Mod I asked) method of always keeping the first page of a thread updated. i.e. We have a bug thread, then I can monitor the thread as it grows and keep the first page current for your use. For that matter, even report back to HC about status etc. For me to do that work I would have to start the thread. One of our Modders here could take the "Mod thread" and do the same. Etc. That might be the way to go. Create the five threads or however many that's needed and keep the first page of each current. Folks would catch on to that quickly and then you would make your fly-bys efficient.taking the info to the site. In fun; Regarding the name of this effort; "Heroes Forever" came to mind because of your stated goal and because I've seen that sentiment (also; HoMM forever) so much over the years. Edited by magnomagus at 18:06, 19 Feb 2011. I have taken a look at the new website and I'm very enthusiastic about any AI, performance and editor improvements you can make. This is really nice. However, I don't see any useful vision about what this mod is going to bring in respect of gameplay and I don't see much similarities with WOG either. Almost everything that WOG offered for H3 is already implemented in H5 or added later by fanmade modifications (especially the ones I mentioned in my previous post). Furthermore H5 already has good scripting possibilities too. XML Tools are welcome, but I think a model importer should be a much higher priority because modding xdb files is really easy. 1. First, NCF should be replaced by a much more advanced framework that also allows the creation of new towns and the ability to add 'real' new creatures with their own models and animations. 2. Second, Level 4-7 dwellings should be implemented by default, TSOD mod can be improved with new models for the recolored buildings. 3. For the class and skill system I start off with my own RPE mod, but several improvements can be made without hardcoded limitations. There can be magic classes for Stronghold and several skills can be rebalanced. Also the witchhut and pendant of mastery bugs can be fixed. 4. For further rebalancing the game the H5 Tournament edition and H5 duel maps have lots of good ideas that can be implemented by default. 6. RTMG and RMTE are great tools to enhance the random generator, but the possibility to improve the generator itself would be even better. 7. Considering the AI your work is great. I think 2 things can be added: more difficulty levels and gamemodes (deathmatch, bankrupt), also the rebalanced treasure buildings from my old AI mod should be implemented by default. EDIT: 10. I forgot to add, the duel system can also use an overhaul, preferable according to the lines of the community duel tournament maps, but without the need to load a specific map. I think if most of these things can be realized H6 will have an extremely hard time to beat its predecessor. Edited by Quantomas at 14:42, 20 Feb 2011. That was another suspicion I had that Win7 somehow manages memory allocation differently, probably different page sizes that cause the heap to grow faster (yes, trust the folks at Microsoft to handle things differently and then claim it's compatible). Your work confirms that it might be indeed the right approach to have two processes for H5_Game and AI, each with their own memory space, which will give us effectively 4 GB instead of 2 GB (or 3 GB). All of these are available in the AI patch as well. The problem with scripting I see is that (a) it is limited to the available commands, in respect of what you can modify in the game, and that (b) it is buggy. I remember I had to build workarounds into the AI to get the ToE campaign working, because the scripter had tested it with the stock version but didn't make it logically sound. It is also buggy in the sense that there is an immense amount of in-game logic that feeds changes triggered by scripts to different parts of the game. It is by no means clear that these changes reach all the elements which they are supposed to, for example whether the AI adjusts to changed creature stats. Likewise editing of game content is also limited, and again it is doubtful that all changes are affecting the game properly. If I find the time for it I will make a block diagram and flow chart to show what elements are involved in initializing, modifying and using game data and put it up on the website in the modding section, for a better understanding. Then there is a third class of mods that affect the binary to overcome the limitations with the first two options. This is at best a temporary fix and difficult to maintain with a game that will evolve in relatively fast iterations. What do you mean? My understanding is that the creature animations are imported into the runtime at startup, so there is already code that does this. I am all for making game extensions more generic. 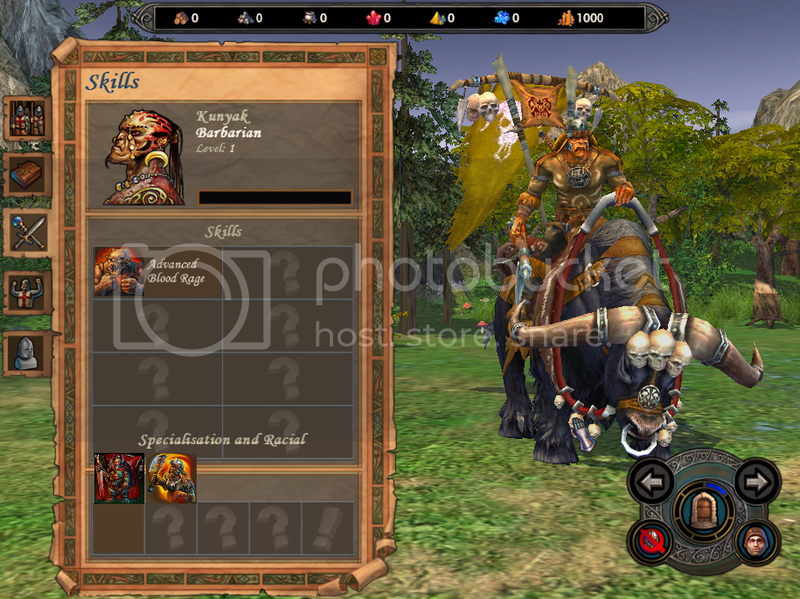 For example to have a full capability to define creatures and import them into the game that they are recognized in full and employed by the AI. If we have all bits of knowledge (what to import, where it is stored in the game, and what parts of the game rely on it) I can make the necessary modifications. But don't expect me to do all the work. If you look at the task list on the website and what needs to be implemented for the AI, algebraic factorization of all game rules is not for the weak minded, there is no shortage of work. And that's where the modders come in, to provide me with the knowlegde they have about the game formats, the bits they know how the game handles stuff internally, and once we have sufficient information we can fasttrack the implemention of the requested functionality. So what I am offering is technically to take the knowledge the modders have and make it into real game functionality. It also needs to be organized neatly, hence my suggestion to create a different folder for clean mod descriptions all in one place. The idea is to give mods a way to benefit from the added functionality described above. From my perspective, the programmer, I would provide an implementation of the enhanced functionality, the more generic the better for it to have true power to expand the game. In addition there is parsing of these new XML mod files to get all the features requested by a mod into the runtime. That's the general concept. The XML files will allow the modder to use this functionality. It is up to the individual modder what to use. From what you said that should be relatively straightforward for creatures (replacing NCF). This should also be true for the class and skill system in the RPE mod. For Level 4-7 dwellings, TSOD and RTMG and RMTE we have to see what the requirements are. Regarding gameplay and game modes, do not underestimate the two proposed changes we have. The idea behind having terrain effects more powerful, is to rebalance the entire game and give it more depth. The first stage in H5, to gather resources, build up your castle and have your hero earn experience works beautifully. If we would make the terrain working to transform the castle into a real bastion to protect and benefit from the land, let's say adding leverage factor 2+ to the defender, it will make invasions more difficult and strategic planning along faction lines more important. In a game like that, level 40 heroes really could make sense. The Hall of Decision is a new game mode extension. Sort of calling up a special map for hero duelling when a required event is triggered. This concept can easily be extended to allow for such pop-up maps show up on different occasions, when you enter a building or dungeon etc. Edited by magnomagus at 16:03, 20 Feb 2011. By 'we', do you mean all modders except you? or all modders including you?, because I don't understand how you could have made the AI patch with only these two capabilities. Do you mean that when running the game from the AI patch any changes in parameters in xdb files are still working, even the AI related parameters in the defaultstats.xdb? I'm not an expert on the subject of importing creatures and animations, all I know at this moment is that it is impossible for fans to create completely new models in 3D programs and import them with unique animations into H5TOE. Since building creatures and factions is by far the most popular modding activity these limitations are probably the reason the modders workshop forum is very inactive already for about ~2 years. Not to mention the other H5 modding forums around the net which are almost completely dead for a long time. I meant what H5 offers us technically as an interface. I probably wouldn't call myself a modder because I write C++ code. Naturally you can do more with this than with Lua scripts, although these can load modules written in any programming language. A grey area perhaps. The xdb files should work, except the <AI><Adventure> <DifficultyXXX>|<SeachXXX>|<RolesXXX>|<ValueXXX> values that the upgraded AI evaluates differently. But it would be possible to provide equivalent parameters for the upgraded AI. Then it would be the first task to figure out what can be loaded and what not and what the limit technically is. Anyone? Edited by Cepheus at 17:28, 20 Feb 2011. Quantomas, if you are willing to devote time to making H5 as perfect as it deserves to be - at the calibre of your AI mod - then I salute you completely, and would be happy to help where/when possible. I will fully support anything you do and will advertise it with all my power here at AoH. There is huge potential in the community but it hasn't been realised (and has dwindled with time) because there was nobody with skills like yours to tap into the hardcoded limitations of the game. I don't think your offer can be underestimated or underpraised. For Christ's sake, guys, this is like having Slava Salnikov asking us how best to go about creating WoG! You are Santa. So forgive us if we're having a little trouble getting to grips with your philosophy immediately - it's like jumping from one extreme (prison-like restrictions) to the other (maximum design freedom). I'm having trouble believing it myself here. 2) Complete a new town - Sanctuary. There are assets for this faction in the game's data and an attempt was already made by TSoD to kickstart this project. As far as vision goes I think we can agree that there is much work to be done on unleashing the potential of the game we have before trying to redesign it fully. I would not say that a model editor is the problem but rather a lack of modelers and lack of publicity. There was a huge effort created with Archangel but it fell flat for some reason, probably because there was little activity here due to no sign of H6. Between Psatkha, SimonaK, TSoD, Radar, Gnoll_Mage, Fauch, myself and whoever else, there is more than enough support here to aid in creating content. It's mainly been a matter of ripping down the barriers in H5's exe that get in the way. Quantomas, if you are willing to devote time to making H5 as perfect as it deserves to be - at the calibre of your AI mod - then I salute you completely, and would be happy to help where/when possible. Cheers, Cepheus. I gather Slava Salnikov was the supreme maestro who made WoG really fly. It's tough to live up to such praise but I will try. As mentioned earlier, it is important that we are organized to get done as much as possible. The main bottleneck I see is me implementing the required changes to H5's exe, so one of our main challenges is to distribute work in a way that serves our effort best. We have to get started with something, and Magnomagus' Role Playing Edition might be just right for this, because it doesn't involve complex graphics. The biggest challenge might be to extend the UI to accomodate more skills and probably class specifics. Do we have people who know how to go about that? The other thing, it would be good to know whether it is possible to create and load entirely new creature designs, and if not what the road blocks are. Once we have mastered that step we can set our sight higher and look to how to create a town. Regarding the new things you mention, if we succeed to integrate generic functionality to desgin and load creatures, hero specialities, artifacts, adventure map buildings and other, the content designers will have free reign. But it's a step-by-step approach with identifying how these things work first and then implementing the functionality second. Important for this will be to see what knowledge we really have in the community. Based on this we can sort out the priorities. Maybe we can also allocate research tasks if we have people with a predisposition. Edited by magnomagus at 19:02, 20 Feb 2011. Then could you modify the .exe in such a way that from now on every witch hut offers the skills contained in that list? This of course means that anyone can modify the behavior of witch huts to its own liking. If the answer to that question is yes, then I could start working on a detailed list of limitations in the current exe file and corresponding or missing .xdb parameters that should be created to extent the modification of classes, skills, specializations and spells. Someone else with more knowledge of towns, creatures and artifact could perhaps do the same for those. Edited by Cepheus at 19:20, 20 Feb 2011. Editing the UI is possible without extensive modding. I have no idea whether it's currently possible to enable extra skills to show up. I doubt it, since such a mod hasn't been made to my knowledge, but I can investigate. The required .xdbs are in data.pak\UI\HeroScreen2, I think. The farthest the community ever went was Archangel, which did successfully import a Warcraft III model. After that there was nothing. I think the program works in its current state. The only roadblock there was a lack of interest at the time. Then could you modify the .exe in such a way that from now on every witch hut offers the skills contained in that list? This of course means that anyone can modify the behavior of witch huts to its own liking. Sure. You would need to tell me which .xdb file you have edited, then I would need to check where the game loads the data and make the necessary adjustments. This is fairly simple in comparison to adding additional hero skills, it doesn't involve any UI or AI stuff. It is mainly preprocessing of the adventure map when it is loaded. I'd guess that the game does support skill definition for witch huts already, does it not? If the answer to that question is yes, then I could start working on a detailed list of limitations in the current exe file and corresponding or missing .xdb parameters that should be created to extent the modification of classes, skills, specializations and spells. Do not think of these as limitations. It is not that someone has added artificial limitations to the game, mostly it requires support for a feature still to be written into the game. Can you investigate where the game stores UI resources and whether these can be edited, and maybe even create a modding wiki how this is done? If we are going to upgrade the game substantially we will need this a lot. 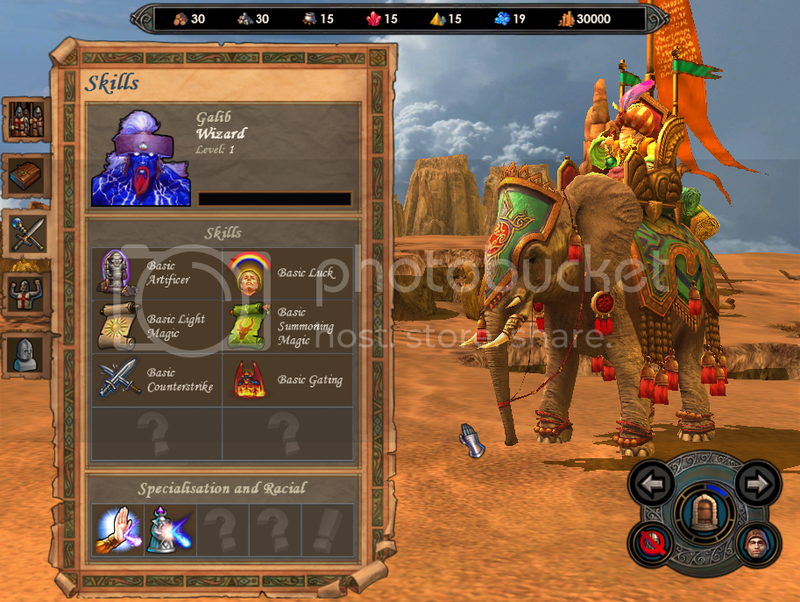 Most of the UI resources are within the UI folder ( ), with the skill stuff within the three HeroScreen directories. Here is a little bit of early progress. I understand, but thinking in terms of limitations helps to make priorities. As you said the amount of work you can do is limited and if everybody starts to post random ideas the project can easily become overambitious and without focus. By studying the mods that have been created in the past and looking at the problems they ran into its easier to find the higher priority issues. Especially since you can be sure other modders are willing to pick them up and work on them.